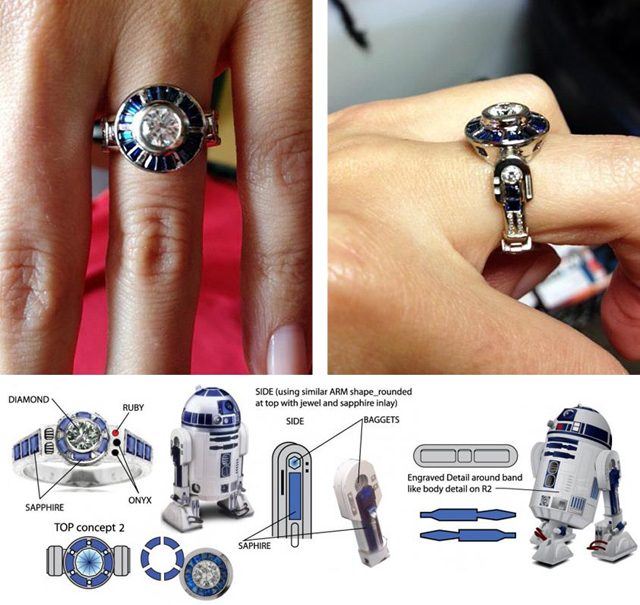 The amazing Star Wars themed R2-D2 engagement ring pictured above was created by Pittsburgh custom jewelry designer Paul Michael Bierker of Paul Micheal Design as a commissioned piece for New Jersey tattoo and graphic artist Joe Pagani, who was thoroughly excited about placing it on his co-worker (now fiancé) Emily’s hand. 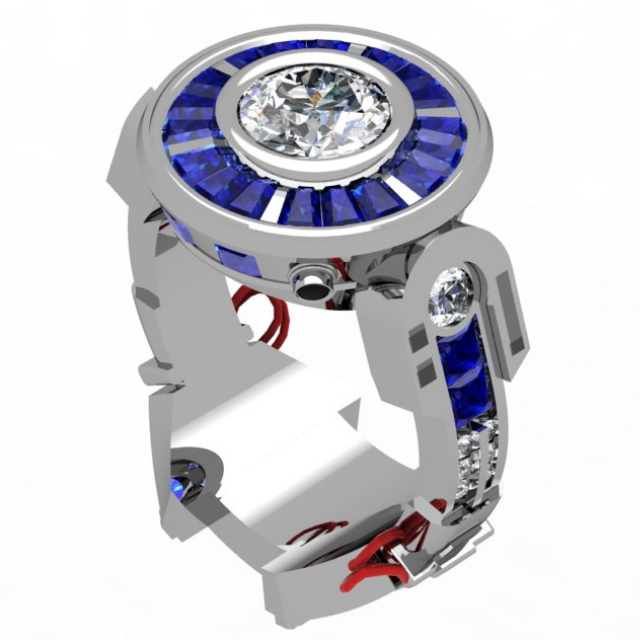 Joe started his engagement ring journey on CustomMade.com (online matchmaker for custom goods) where he posted an ad looking for someone to take his already laid out design and run with it, which is just what Paul did. 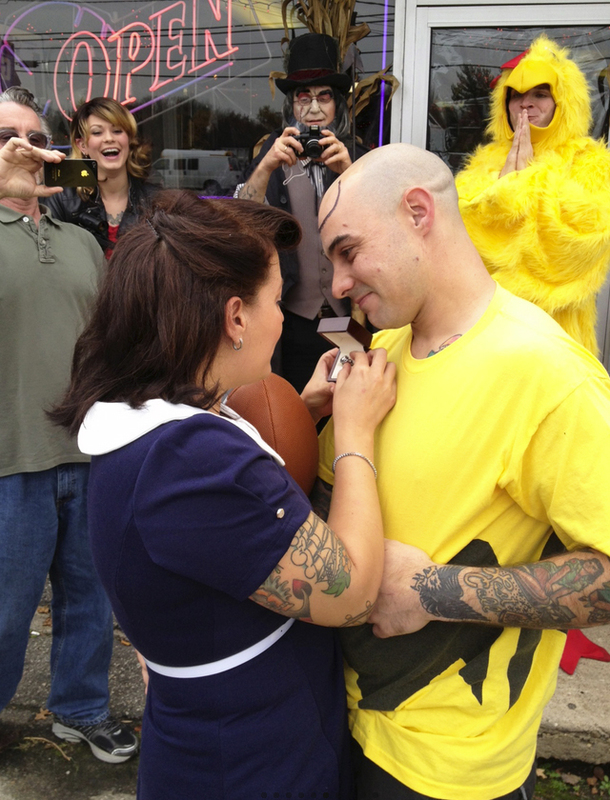 Joe recieved the ring the day before the Halloween party at the tattoo shop (that both him and Emily work at) so he popped the big proposal question, in the company of friends, while they were both dressed up as Peanuts characters Lucy Van Pelt and Charlie Brown. 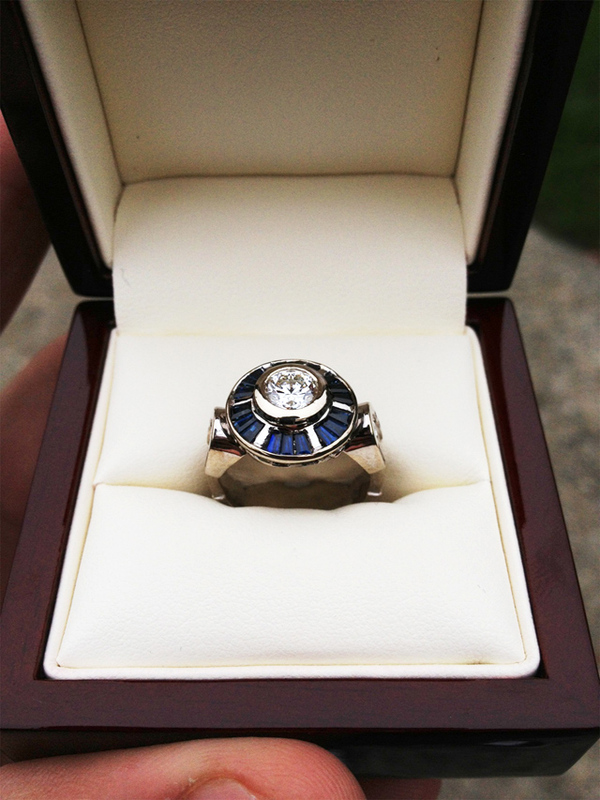 You can view the great proposal video that includes the thank you voicemail from Joe to Paul below.